The Windows favourite, now on your Apple TV. 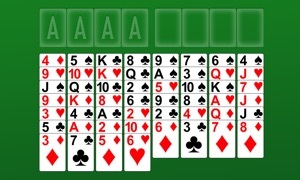 Iversoft Solutions presents FreeCell Solitaire Classic. Still considered one of the most popular forms of Solitaire, FreeCell Solitaire brings a game style that rewards patience, strategy, and skill. 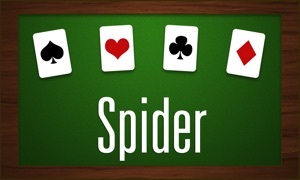 Like classic Solitaire, the goal is to move all cards onto foundation stacks to win, but with FreeCell Solitaire, there are 4 free cell slots that can be used to store cards for later use. 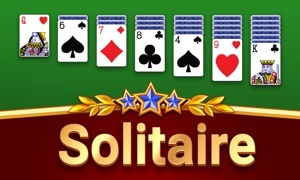 Also different than Classic Solitaire is that in FreeCell Solitaire, all the cards can be seen at the beginning of the game, allowing you to develop your strategy without guessing as to which card might be next. 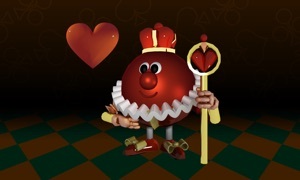 The most important thing about Iversoft’s FreeCell Solitaire is that it is free! Enjoy it as much as you like, and play as long as you want. You will never pay a dime. Game on! FreeCell is waiting! 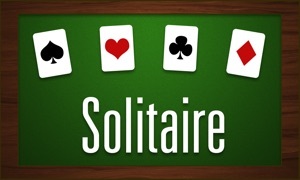 To take Solitaire with you wherever you go, be sure to download Iversoft's Solitare games specifically designed for Apple iPhone and iPad from the App Store.